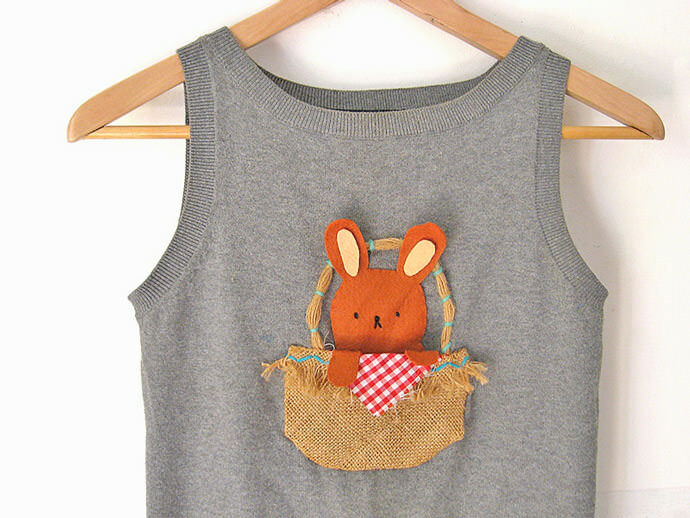 Here’s a simple and super fun sewing project for you to tackle over the Easter holiday. 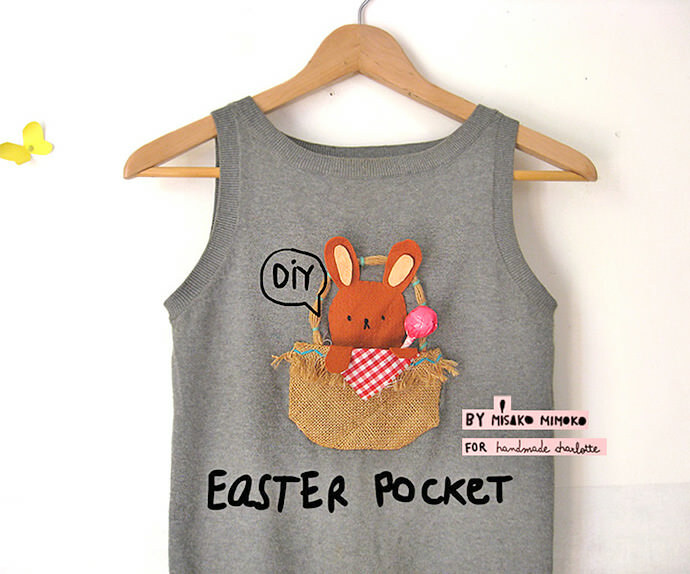 The downloadable Easter bunny and basket pocket template can be sewn onto any top, t-shirt, dress or bag. 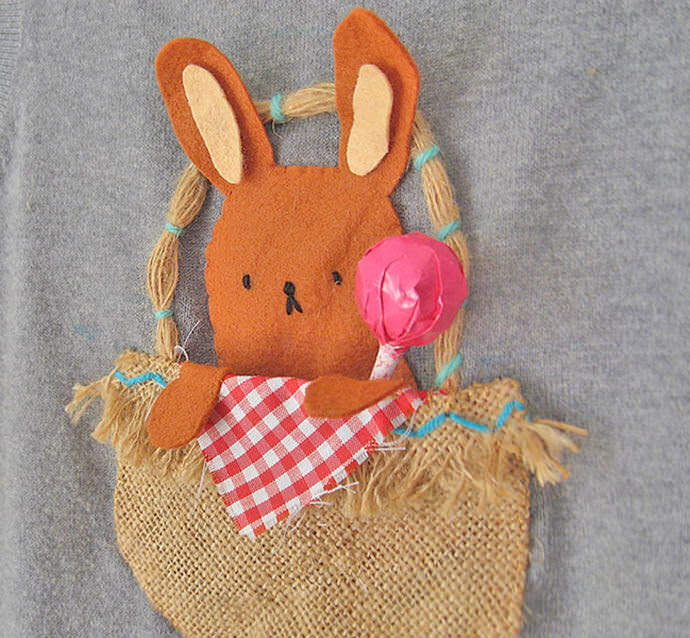 Fill the pocket with yummy sweets and enjoy a crafty Easter! Down­load and print the tem­plate. 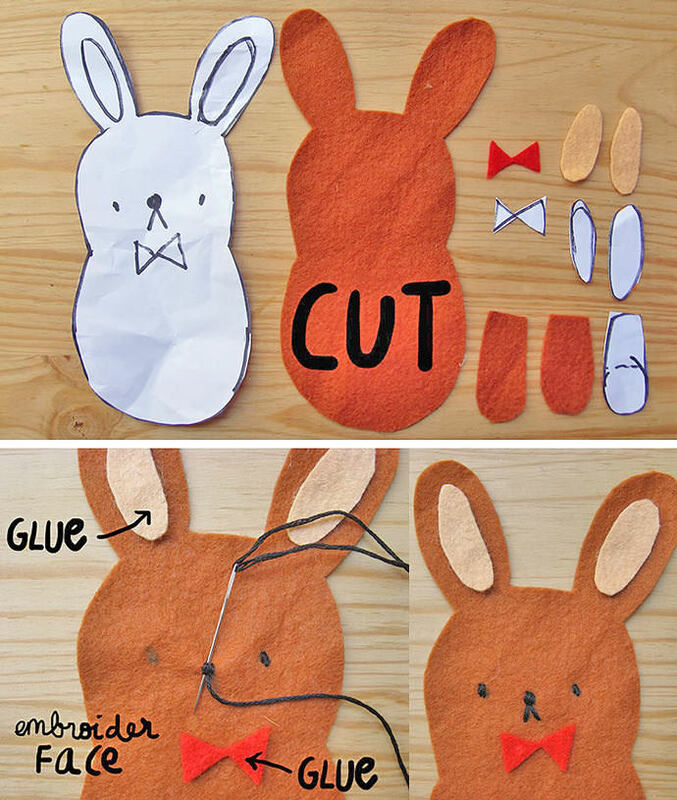 Cut out bunny, ears, paws and bow-tie from felt. Glue ears and bow-tie (I didn’t end up using the bow-tie, it’s totally up to you)), then mark and embroider the bunny face using small stitches. Cut out the basket shape from template. 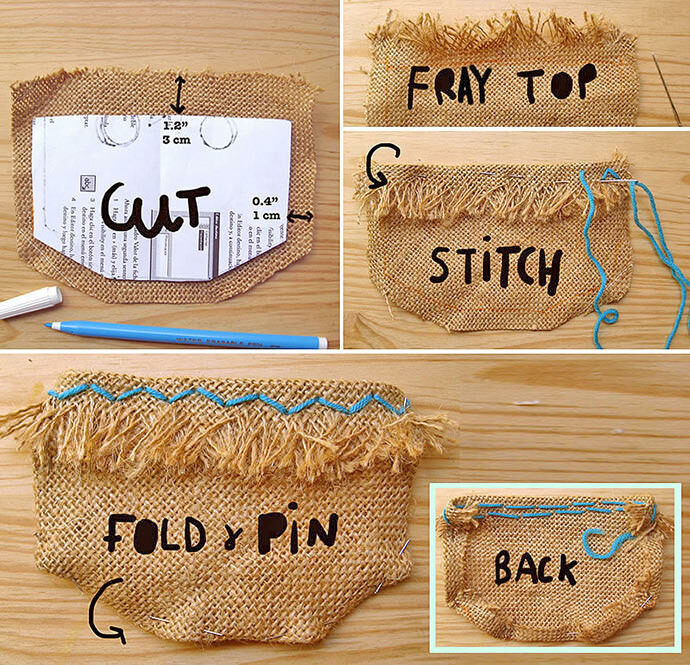 Take burlap, mark shape and cut out leaving a 1.2” seam at the top border and 0.4” all around the shape. Fray top border using a needle, fold and pin. Embellish, and fix the folded piece, using some yarn and a zigzag stitch. Now take your fabric scrap and cut out following the template. Lay down the fabric and place the burlap basket on top, right side up. Fold the top triangle flap of the fabric down, over the top of the basket. Pin it. 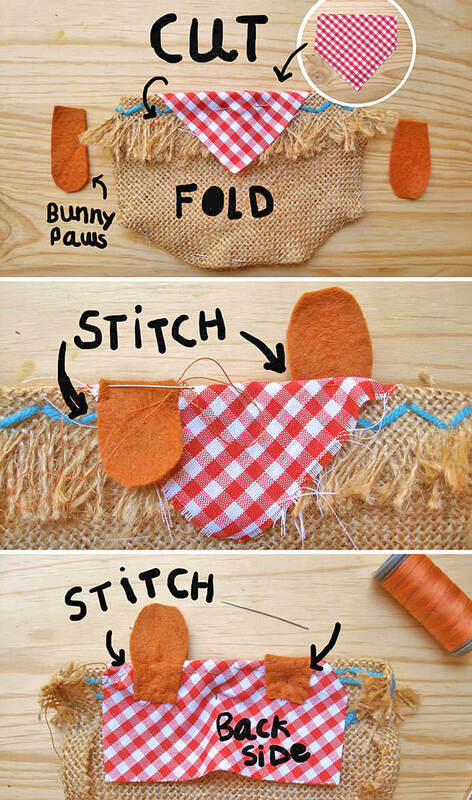 Place each bunny paw on each side of the triangle flap. Fold, pin and stitch all together. I left one of the bunny paws standing, not stitched down. Take your sweater and find center. Mark where you want to position the pocket and the bunny. 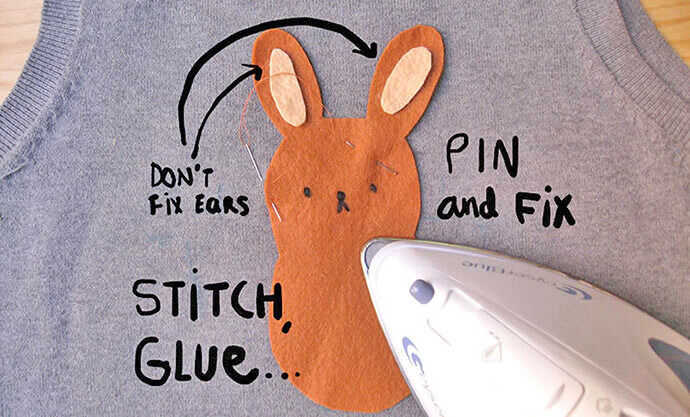 Place and pin bunny, then stitch all along the shape leaving ears unstitched. You can use an iron-on adhesive to fix it if you prefer. Now let’s make the handle of the basket twisting together some burlap strands of 10” long. 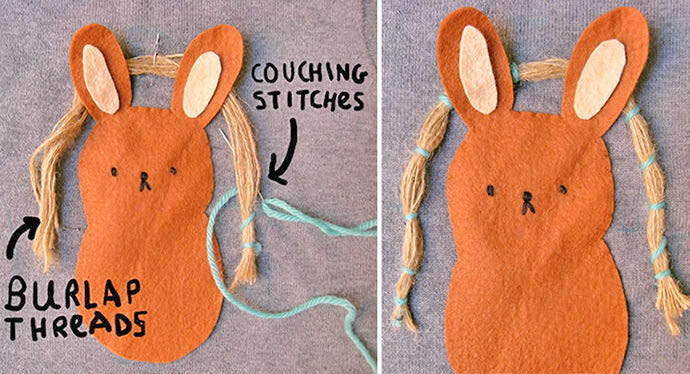 Form an arc with the burlap cord around bunny head and behind ears. 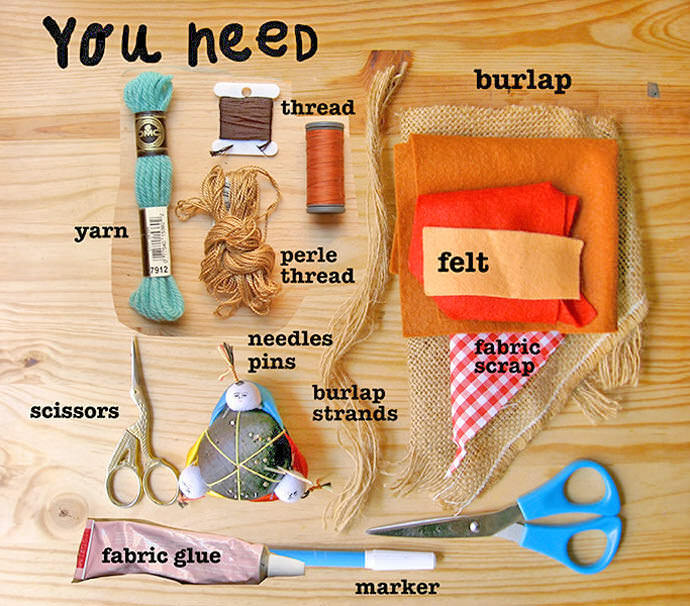 Pin and sew all along with couching stitches using some yarn. 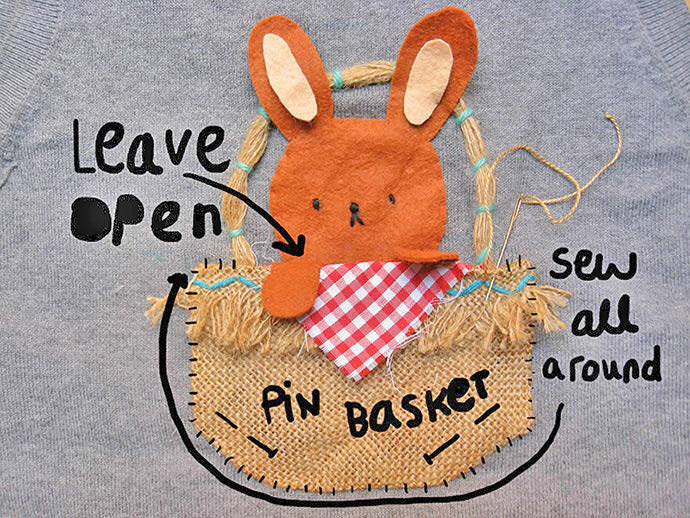 Once handle and bunny are fixed, take the basket and place it on top, right on the center, hiding the ends of the burlap arc and the body of the bunny. Pin and sew all along the basket shape. 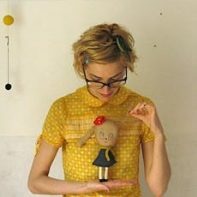 You can use small straight stitches. Don’t forget to leave the top of the basket open! You’re done!! Say hello to your new Easter friend, fill your pocket with yummy sweets and enjoy! !